Antoine Villoutreix is a french singer-songwriter living in Berlin. He writes and performs not only in french (Listen to his album) but also in german (Listen to his song “Berlin”) or english. 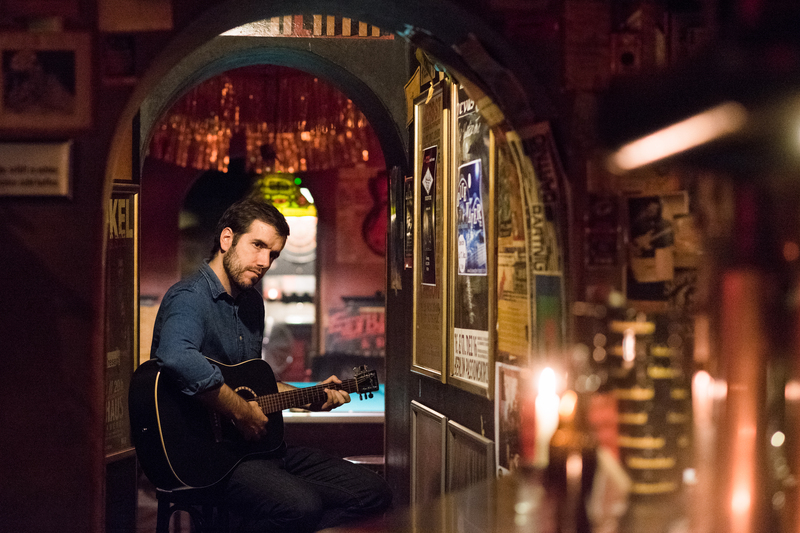 In his new album „Paris Berlin“, Antoine Villoutreix mixes a lot of influences: Chanson meets Folk, Swing or Rock. With this musical journey from Paris („Les boulevards de Paris“) to Berlin („Berlin, ich liebe Dich so viel!“), Antoine Villoutreix presents a delicate collection of songs crossing borders in Europe. “The music is sober, unpretentious, rid of invasive beats, distortion or the old rebel clichés. Antoine Villoutreix is talented and inventive enough to stay off the beaten tracks. This Berlin-based Parisian singer has taken part in various music projects over the past 10 years, venturing into genres as diverse as jazz, dub, reggae or classical music. With tongue in cheek humour and a certain irony, he tells stories of everyday life as they happen in our cities, ordinary situations which take place on our doorstep and go mostly unnoticed. Between confidential and public, intimate and formal, close and even closer Antoine Villoutreix writes bubbly and limpid music that rings out on the airwaves of Groovalizacion with the brilliant album “Les Vieux Souliers”.